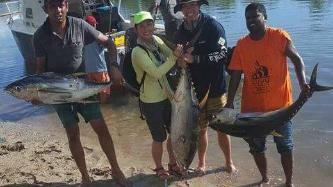 Join Sigatoka Fishing Charters for an awesome Fiji Fishing Adventure. This local charter fishing business is located on Cuvu Beach, close to Sigatoka on Fiji’s famous Coral Coast. They offer you the unique opportunity to experience the beautiful surroundings from the water, while catching a huge variety of fish in these productive waters. The boat is a 28 ft Maxwell Catamaran with twin 150hp motors that offers a very smooth ride to and from the fishing grounds. There is ample seating on board and the deck is covered by an extensive shade canopy for comfort, while there is also a toilet on board. The boat was restored in 2016 to keep it in top fishing condition, and it features a VHF radio for communication with the shore at all times. 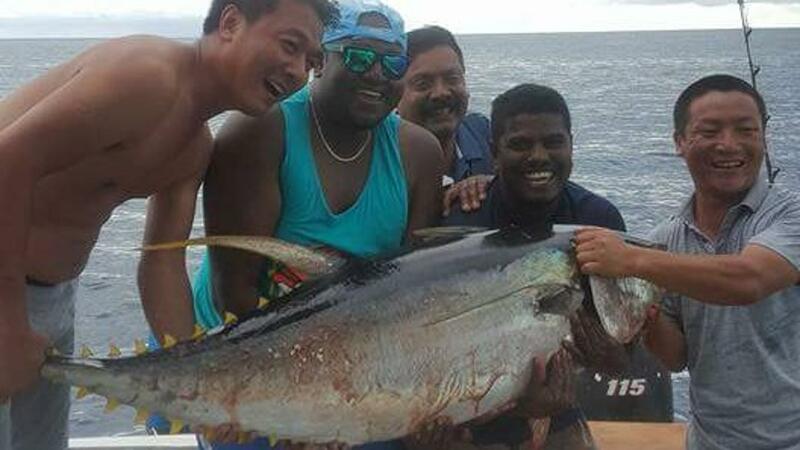 Sigatoka Fishing Charters have built up a reputation for putting their guests on fish, and always make sure they are having a great time while they’re at it. The company specialises in trolling with lures and bait for species such as Sailfish, Marlin, Mahi Mahi, Tuna, Wahoo, and Spanish Mackerel, and they also bottom fish over the reefs for Snappers and other bottom-dwelling species. Free transfers are available from all resorts in Denarau and the Coral Coast, and everything you need to fish is included in the price of the trip. Families with children are always welcome! 4 hours private charter trip include free transfers from your resort. We offer trolling for Tuna, wahoo, mahimahi and GTs. If you are looking at doing bottom fishing, we offer that as well. Recommended for all types of anglers.